Come and enjoy Poole Creek Mountain Hideaway. If you are looking for a quiet getaway then this is it. 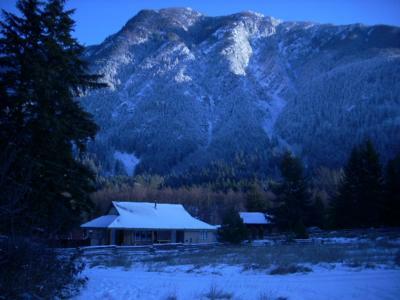 This 5 acre property is located approximately 45 minutes north of Whistler in a subdivision called Poole Creek. The acreage is surrounded by beautiful mountain views and there is a creek at the back of the property. This serene location is a spectacular, quiet escape. The property is surrounded by other 5 acre properties and the neighbours are quiet. The house is 1700 square feet and there are 3 bedrooms and 2 bathrooms. 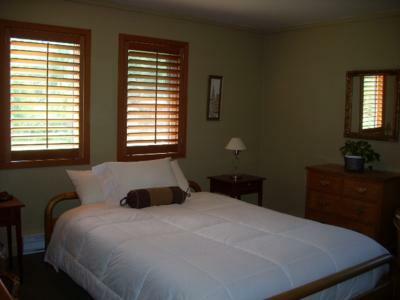 The house is nicely appointed and has everything you need to feel comfortable. The upstairs loft has beautiful views of the surrounding areas. You can actually see the ice climbers with binoculars that frequent the well known site in the winter. There is a sauna that is situated steps away from the house. Gates Lake is a 5 minute drive from the home and there are numerous hiking and biking trails in this area. 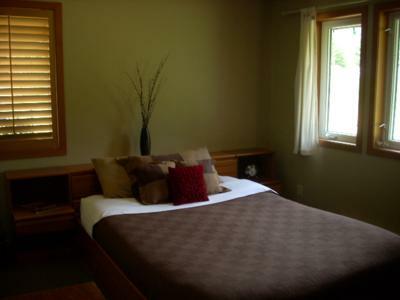 Additional bed can be added to loft upon request.